High quality and effective range of gels are formulated at Stensa Lifesciences for PCD franchise business. Our company is a leading name in the pharmaceutical market that is well known for its superior quality drugs. We are an ISO certified firm and thus all our production take place under WHO and GMP certified units. The company provides a wide range of sachets that cover various segments such as analgesics, antibiotics, anti-allergic, anti-infective, anti-inflammatory, antiemetics, local anesthesia, etc. Our company is backed with the professionals that make sure to provide you the best products. In the bunch of medicines, sachets/gels are the most demanding range as it is highly consumed by the people. Today the people are getting more conscious and aware of the healthcare medicines which result in rising demand for gels. 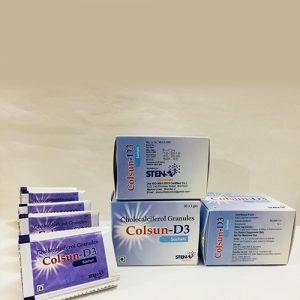 Stensa Lifesciences is providing the best PCD franchise business opportunity to all the pharma professionals who want to start their own venture. By providing the vibrant range of products our aim is to fulfill the demand and needs of the customers. At our premises, we have world-class infrastructure units that help us to produce large scale production. In case you are willing to own PCD franchise services or want to get any information about our company. Feel free to contact us anytime. Our team of members is always here to listen to your queries and questions. The sachets/gels medicines have on-going demand in India. Because of the huge demand for sachets range, you can hold a good control over the existing market. By associating with the reputed pharma company you will get upper hands in the pharma industry. In the PCD franchise business, you will get the monopoly rights that gives you the right to start the business in your desired region. Along with sachets and gel range, we are also capable to produce a variety of other drug range as per requirements of the clients. Apart from the quality manufacturing our team also make sure that the drugs are offered in the best packaging material. At our organization, we have separate packaging department that ensures that only quality packaging material is being used. Our company values the customers and thus we make sure that our customer didn’t face any issue in the medicines. We use blister packaging to avoid any sort of contamination and spoilage.